Game shows; like them or loathe them, on modern TV they have become firmly ensconced in the programming guide. And yet, you can only do so much to differentiate one from the other, and so producers must strive harder after each episode to come up with new ideas, new ways to inject excitement and enthusiasm into a television archetype. 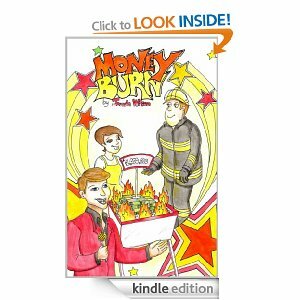 In Money Burn, the titular game show, the premise is blissfully simple; through questions asked by the presenter, the million pounds in prize money is divided into different grids… and incinerated upon failing to answer correctly. It goes without saying that fire, money and game show contenders don’t make a match made in heaven, so the fire department is also a regular on Money Burns, in particular Gary Jones, ‘Chief Fire Fighter’ and media-proclaimed hero. And so enters the heroine – Marie Jones; daughter of the heroic Gary. She is collected, keen and clever, with a wry sense of humour and due to her quasi-religious viewing of Money Burn, a wellspring of interesting trivia (for example, donkeys kill more people per year than aeroplanes!) and yet finds herself in the shadow of her over-achieving older brother, David. You would be forgiven for thinking that everything thus far sounds completely normal in this story, but this children’s book does not fail to deliver with plot twists and turns worthy of an adult’s thriller, leaving readers of both generations scrambling to keep up with Marie and try and figure out what is afoot. After Marie gets the chance to accompany her dad to work, it does not take her sharp eyes to see that something is odd on the Money Burn set. Just what is up with the charismatic host, Mark Battle? The story itself is a straightforward and smooth read, as benefiting the younger audience it was intended for; but it would be a disservice to say that this book was written for children only. Parents and children alike will find themselves spellbound by the plot that keeps brains both young and old guessing and the story is made that much more enjoyable by the typically, but no less refined dry wit of the author. A most amusing read; the only complaint this reviewer has is that it wasn’t published fifteen years sooner! Review of Money Burn by Jonah Wilson by Benjamin Dagg of the Books Are Cool team. 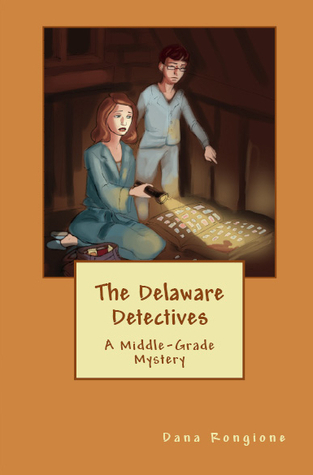 I’m delighted to be taking part in Dana Rongione’s virtual book tour for her children’s book The Delaware Detectives. This is a highly enjoyable mystery story for children. As a child I loved adventure stories like this, and my ten year old son is following in my footsteps! We read this book together and it’s hard to say which one of us enjoyed it the most. Ruadhri loved trying to solve the clues. He enjoyed the very realistic minor brother-sister squabbles that flare up between Abby and James. He was also very pleased by the part where Scott pulls a spider off his sister’s hair. Phyllis wants him to kill it, but Abby points out it’s one of God’s creatures that we should be kind to. They let it go outside. It’s nice to see a little reminder about how we should treat each other and the rest of the world. Rors wants to be a naturalist so he was delighted that the characters in the story shared his respect for wildlife. I asked Dana some questions about her book and writing. 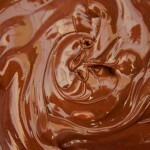 I’m delighted to discover that as well as a talented author, she’s a chocoholic – like me! 1. What inspired you to write The Delaware Detectives? I first began writing The Delaware Detectives as an assignment for a course I took through The Institute of Children’s Literature. Through the course, I had learned to write about what I know and what I’m passionate about. As a mystery lover and elementary school teacher, I could think of no better story for me to write. Based on some true life experiences, The Delaware Detectives was born. Sad to say, that was six years ago. Yes, it took me six years to finish and publish the story, but now that’s it’s finished, I can’t wait to begin the next one. 2. Are the characters based on yourself as a child? Did you have an annoying little brother or older sister?! Actually, I had a younger brother and an older sister. Yes (sob, sob), I’m a middle child. My characters, however, are actually based on my niece and nephew, though I tweaked their personalities a bit for the sake of characterization. Much of the story is based on my own childhood. My family did move from Delaware when I was very young, but I remember countless hours spent in my Pop-Pop’s (Grandfather’s) attic during vacations, uncovering the many mysteries it contained, including some old and rare stamps, just like in the book. 3. The Delaware Detectives has a great cover. Did you design it yourself? The cover. Now, that is a tale. Let’s say it was a collaborative effort. The original artist did a wonderful job on most of the drawings, but he struggled to draw the children to my specifications. In fact, in the original drawings, the two main characters looked like they were in their late 30’s rather than mid- and early-teens. So, I kept his other drawings to use and hired another illustrator to “fix” the original picture with the characters in the attic. Once she provided me with a color picture, I used one of the cover templates provided by CreateSpace to design the cover. I must say, after all that work, I was rather pleased with the way it turned out. 4. Do you like solving mysteries? I love mysteries! In my mind, there’s nothing better than curling up on the couch with a good mystery. While I enjoy the “who-done-it” mysteries, my favorite mysteries are those that involve a lost treasure, a secret place and/or a valiant quest. And may I say, I never, never read the last chapter first. Where’s the fun in that? 5. Which authors or books are you reading at the moment? I actually just finished “The Gift of Magic” by Lynn Kurland, one of my favorite authors. I’m about to begin “Depth of Deception” by Alexander Galant. It’s a mystery based on the Titanic. I’m excited to get started. 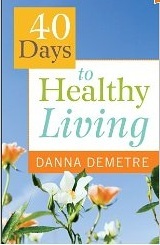 With my morning devotions, I’m reading through the book of Psalms in the Bible and reading a chapter in the book, “40 Days to Healthy Living” by Danna Demetre. During devotions with my husband, we’re reading through Mark Gungor’s book, “Laugh Your Way to a Better Marriage.” You’re probably wondering if I ever read just one book at a time, and the short answer is “no”. It is not at all uncommon for me to be reading four to six different books at once. And still, my Kindle library is overflowing with books I haven’t read yet. How does that happen? 6. When did you first realise you wanted to be an author, indie or otherwise? 7. What one snippet of advice would you give to aspiring self-published authors? Never stop trying! It’s so tempting to look at the success of other authors and say, “How come I can’t sell books like that?” Some days are filled with rejection and disappointment, and unfortunately, sometimes that disappointment lasts for a while. But you’ll never reach your writing and publishing goals if you stop pushing forward. Don’t be distracted by the success or failure of others. Focus on yourself and the goals you have set for yourself. Success won’t happen in a day, and to be honest, it may not happen in a decade, but it certainly won’t happen if you give up. Write, write and write some more. Get your work out there, and let others know what you’ve accomplished. Then, instead of waiting for success to happen, work on the next project. If you haven’t figured it out already, I have a secret for you: there’s always more to do in the writing world! 8. What’s the one best thing and the one worst thing about self-publishing, in your experience? The best thing about self-publishing to me is that I get to spend more time doing what I love (writing) and less time doing the grunt work (queries, manuscript submissions, e-mails and follow-up letters, etc.) It’s downright frustrating to spend more time sending your manuscript off than it is to write the thing in the first place. I don’t miss that at all! 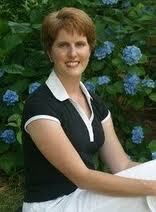 The worst thing about self-publishing is the stigma that is associated with it. The term “self-published” carries with it the idea that the book was not good enough to be published by a traditional publisher, leaving the author with no choice but to self-publish. And sadly, many self-published works are pure junk. Thankfully, though, the self-publishing stigma is wearing off as more and more authors are turning to self-publishing instead of traditional publishing. Still, the self-published author faces more difficulty in getting books accepted into stores, schools, libraries, etc. 9. OK, enough of the serious stuff. What are your three favourite foods? 10. And finally, please describe your perfect day away from the computer and writing! Oh, that’s easy. My perfect day away from work is a family hiking trip. Depending on the weather and my current physical state, my husband and I will pack our backpacks, load up the dogs and head out for a hike in the mountains. We generally prefer less popular trails of anywhere from four to twelve miles in length. We hike and talk, stopping for lunch and sometimes a “rest time” at a gently flowing creek or powerful waterfall. Our pace is unhurried and all negative conversation (arguments, financial stress, problems at work, etc.) is strictly forbidden. At the end of the hike, we travel home for an evening of pizza, a movie and some snuggle time (where usually at least one of us drifts off to sleep). There’s something about a good hike that clears the mind and stimulates the body. It gives us a time to get away from everything and everyone except each other. It’s the perfect family time because there are little to no distractions. Ah, yes, the perfect day indeed! I was going to jump on the bandwagon and blog about the French Kindle store being open now. This is great news! Finally I can get 99 cent books for 99 cents, and not $3.44. There won’t be quite as many English language books available as on amazon.com but probably enough to keep me going for a while! This afternoon I got another book up on Smashwords. 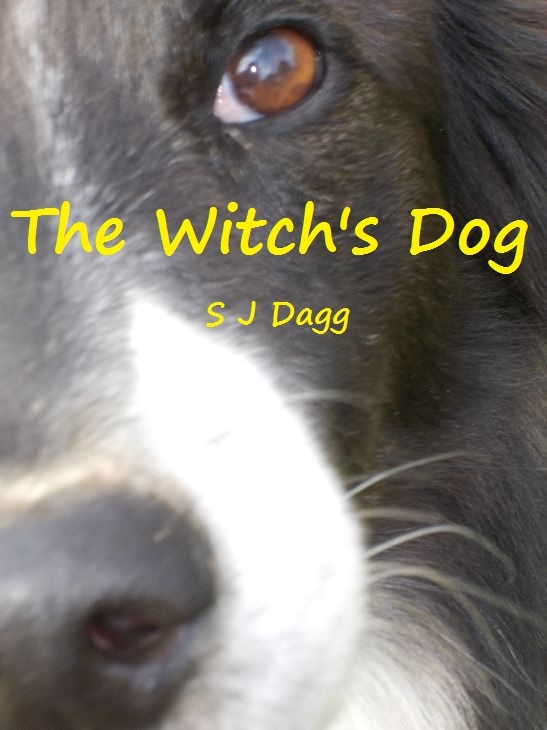 The Witch’s Dog is available for free from here. I’m delighted to say it’s already had one 5-star review. It’s for 5 to 10 year olds, roughly. It’s a non-scary, happy, fun witchy story. No ensuing nightmares, I promise! The dog is our Nessie. I took loads of photos of her, but since she kept rolling over, this was the only one that worked! 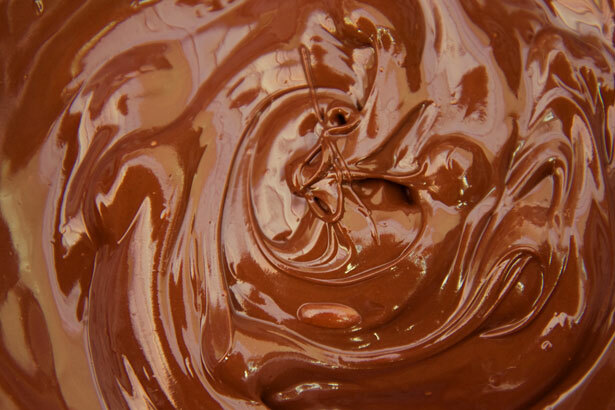 Sample Sunday: Snippet from Oh Gran! Oh Gran! will be hitting Kindle soon. Here’s a taster and a peep at the great cover artwork by Roger Fereday. “Has anyone else got any news?” asked Mrs Crowley. “Surely someone has more news?” persisted Mrs Crowley. No one put a hand up. Mrs Crowley’s eye fell on Emily. Emily had, but she didn’t feel much like sharing it. “Not really, Mrs Crowley,” muttered Emily, wishing her teacher had picked on someone else. Mrs Crowley refused to be put off. Emily knew when she was beaten. She shuffled to the front of the classroom and turned to face the others. Emily shot back to her seat, her cheeks burning. Emily and her friends weren’t so sure. They talked about grannies at break time. “Yes, and my granny’s always telling me to wash my hands and brush my hair and stuff,” groaned Dermot Halloran. “Has your granny stayed before?” asked Niamh Desmond. “Not for ages and ages,” Emily answered. “You see, after Grandad died a few years ago, Gran went to live with my Auntie Hilary in Australia. Then just after Christmas she decided to come back to Ireland. We were going to go up to Galway to see her, but I got chickenpox so we I couldn’t. But now she’s coming down to look after me. She said she would pick me up from school today.! Her friends pulled sympathetic faces. Grannies weren’t considered cool. Emily was quite nervous when the bell rang at the end of school. To be honest, she couldn’t exactly remember what Gran looked like! It must be more than three years since she’d seen her. Mum kept sending photos of Emily to Gran, but Gran never sent back any of herself. “So how am I supposed to recognise her, then?” grumbled Emily. She had a vague image in her head of someone small, smiley and rather wrinkly. But that was all. She dawdled out of school, wanting to be one of the last out so that her friends wouldn’t see her with her granny. Plus it would be easier to work out who Gran was if the other parents and relatives had already gone home with their children. But Emily’s friends were curious about her granny. They dawdled out too so they could see what she looked like. Glaring at them for being so nosy, Emily led a gaggle of her friends to the school gate. She looked across the road to where the remaining mums and dads were a waiting. She recognised all of them except for a motorcyclist wearing a black leather jacket. So where on earth was Gran? Emily was dismayed. Mum and Dad would be at the airport by now. Gran was meant to be here to pick her up. Emily looked at all the faces again. Had she missed Gran somewhere? Unless, no, surely not! 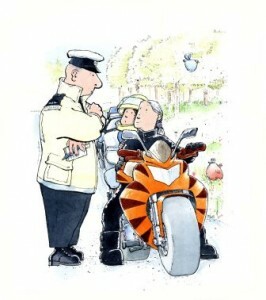 Emily watched in amazement as the motorcyclist pulled off a tiger-striped helmet and revealed the smiling face of an elderly lady. It was Gran! Emily’s mouth dropped open in astonishment. “Where’s your gran then?” hissed Niamh. “l can’t see a walking stick anywhere!” joked Dermot, not very nicely. “Yes, where is she?” asked Mary. “There! She’s there!” croaked Emily, pointing to her leather-clad Gran. Her friends fell silent in horror. Oh Gran! thought Emily. I will never live this down.